Take it from someone who knows: Christmas gifts are hard when you live in a small house. We long to give our kids the things they want, but sometimes we just can't because there literally is no room for them. 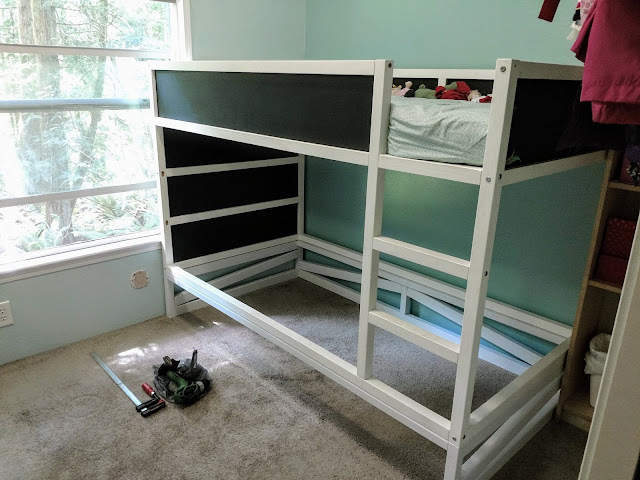 We've made a few missteps along the way (like the little chair that we all kept tripping over that now lives at a relative's house), but this is our sixth Christmas having kids in our tiny house, and I like to think that we've learned a thing or two when it comes to buying Christmas presents for our kids and giving loved ones ideas when they ask how they can bless our children during the holidays. 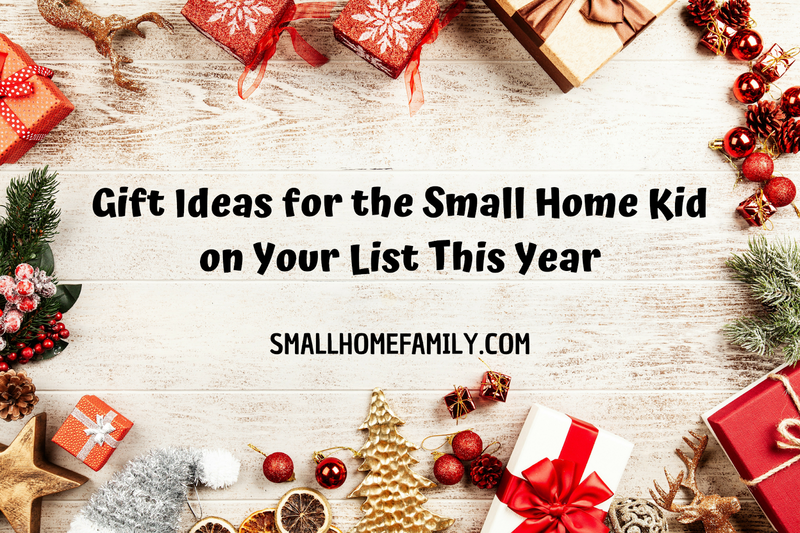 If you are just starting out on this small-home lifestyle with kids or if you have children from tiny spaces on your gift list this year, and you're looking for ideas of what to give them that will be a blessing and not a burden, then this article is for you. This one sounds cliche these days since we hear it so much, but it really is true: some of the best gifts you can give a tiny-house family are gifts that don't require much (if any) room at all. Chris's parents have given us a zoo membership every year for the last few years, and this is honestly one of my favorite gifts from them. 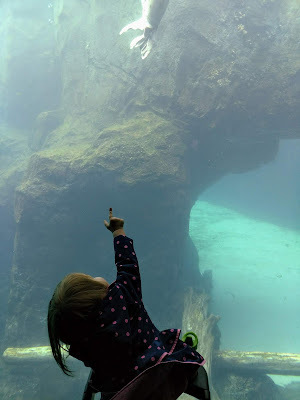 It's something that we get to enjoy throughout the year, and we all love going to the zoo. We've even been able to bless others by letting them tag along using our guest passes. It's not always exciting for our girls to open on Christmas morning, but it is always exciting for them whenever we visit our local zoo. Our particular zoo also offers reciprocal entrance on a rotating basis to other area attractions throughout the year, so we've been able to use it to enjoy the aquarium and the children's museum as well. Other membership ideas include places like your local children's museum or hands-on science museum or even an indoor playground. When you live in a small home, having a good option for getting out of the house before you all go stir crazy is a blessing in and of itself! Experience gifts don't have to be expensive, though. A one-time gift of a trip to a local attraction, especially with the gift-giver in attendance, makes a wonderful present as well. You can also give activity gifts that involve physical items even though the main present is the fun of doing the activity. 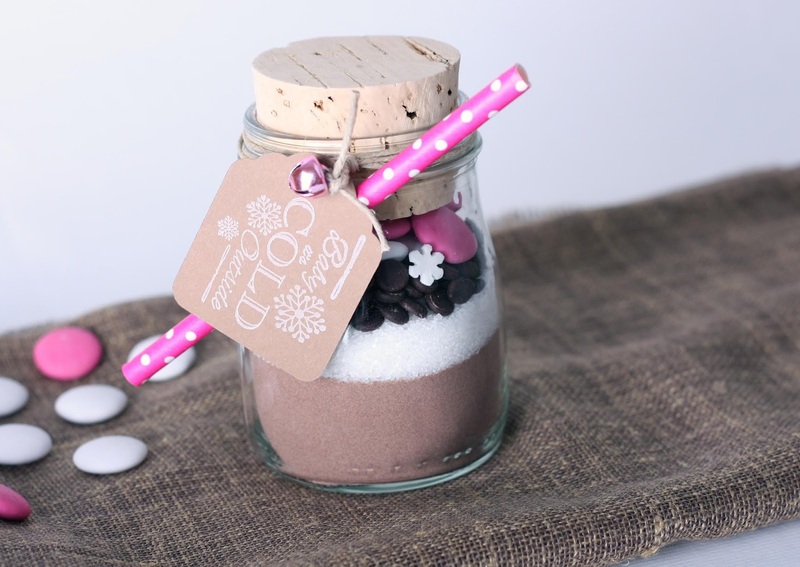 For example, a cookie-making kit or cocoa mix in a jar is fun for a child, as are many craft projects. Just be careful to consider what will happen with the item being made after the fun of making it is over; cookies are eaten and gone in a matter of days (hours? ), but model airplanes need a place to live just like any other toy. Another inexpensive experience gift that my girls love is gift cards to some of their favorite sweet shops. If this gift is for someone else's child, be sure to check with the parents first, but my girls love it when Grandma slips them a $5 gift card to Starbucks (for cake pops) or the local frozen yogurt shop. 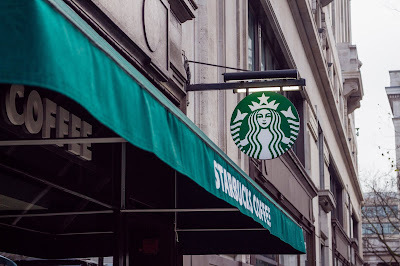 Chris will often use these gift cards to go on a Daddy date with one or both girls on days when I need them out of the house for a little while. If it's really important to you to have a physical gift for the child on your list to enjoy right away on Christmas, some of your best options are going to be consumable products. We often add some of our girls' favorite treats to their stockings--things like yogurt melts or dried fruit that are fun and sweet without being completely devoid of any nutritional value. The best part of food gifts is that they don't need to be stored for very long before they disappear. Again, check with parents on this one! 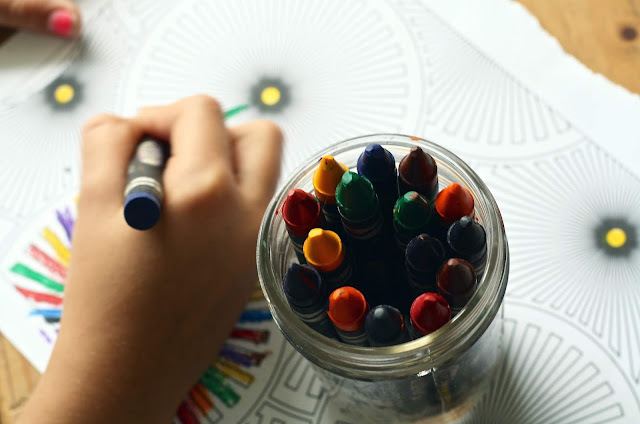 Other ideas for consumable gifts are things like simple, age-appropriate art supplies (washable is best for young kids! ), bath crayons, and bath fizzies that dissolve in a tub of water. 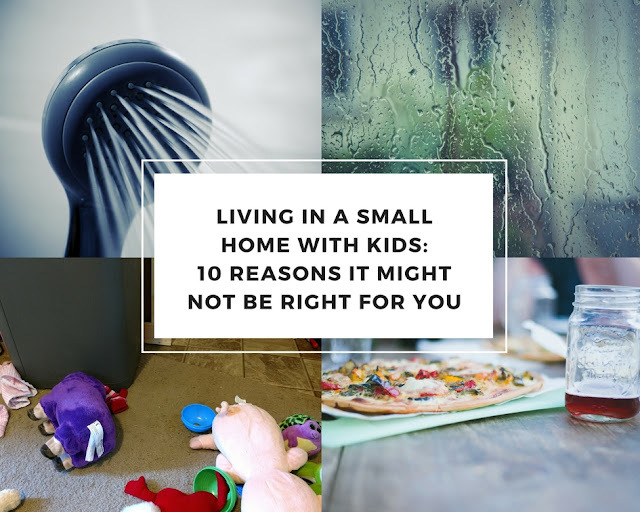 Even if your favorite tiny-house kids don't have a bathtub, they can still have fun watching a bath fizzie pop and fizz in a sink or a bucket or a large pot or mixing bowl. Sometimes kids just really like big toys. 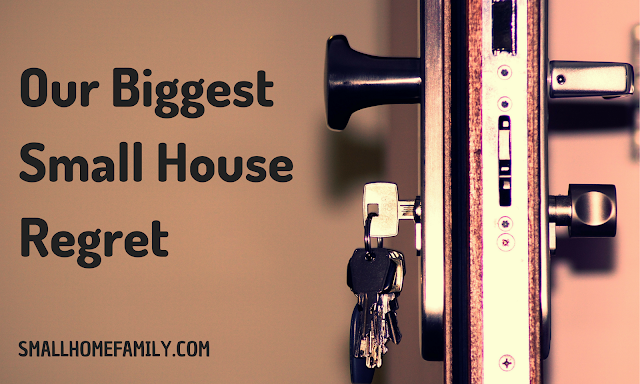 It's hard to always be saying no to the life-sized stuffed bear or the doll house that is taller than your child, but there are a few large toys that actually don't require too much room to store. One of our girls' well loved toys over the years has been their play tent. Someone gave us a folding tent when Sunshine was quite young, and she loved that thing until it literally fell apart and started developing windows where there didn't used to be any. We replaced it with an IKEA tent that takes up about as much room as a small throw blanket in the storage compartment of our couch. We've used that tent to make blanket forts and shadow puppet theater videos and crazy stuffed animal ball pits and anything else that our girls can dream up. Yes, it can be frustrating trying to maneuver around it when it's set up, but the fun that it creates for our girls makes it worth the temporary hassle most days. If you are thinking of purchasing a tent for a small-living child, just make sure to check that it will actually fit somewhere in their house and probably get mom and dad's approval first as well. Remember that most play tents look smaller in stores than they do at home! Also, some tents fold up much smaller than others do. We've already ordered a new, fancier tent for Sunshine this Christmas, and it will be a tight squeeze, but I think it should fit in their bedroom with a few inches to spare. I stumbled upon this fantastic idea on Pinterest more than a year ago, and we're finally going to make it happen for our girls this Christmas. A Make Believe Station, as designed and built by Jen over at Rambling Renovators, is a three-sided structure made from plywood that folds flat for storage and can be transformed into any number of possible imaginary play locations from a bakery to a grocery store to an animal hospital or hardware store or puppet theater or more with only a few accessory changes. Since our girls love make-believe play and already have kitchen and food and veterinary toys, this seemed like a no-brainer. I'm sure that ours won't look nearly as polished as the original, which is really amazing (Seriously. Go check it out! ), but I'm hoping our girls will love it anyway! I don't know if any of you grew up during the original phase of the American Girl empire, but when I was young, these dolls were the thing. (I had four of them. Spoiled much?) When I was deep into American Girl territory, they introduced their Scenes and Settings, which were backdrops from the original historical characters' homes and stories. They opened like a book, and you could use them like little backdrops for you to play with your dolls. I used to pore through the catalog and dream of owning one of these beautiful scenes, but I never had one myself. Instead, my friends and I would use bi-folding poster boards and glue paper and magazine images to the cardboard to create our own, but I still loved looking at the official scenes in the catalog. Unfortunately, American Girl seems to have discontinued these products at some point, but you can still buy them used ($$$), and they would make a sweet gift for the doll lover in your life. My own girls have an IKEA SPEXA dollhouse, which is a similar idea to the backdrops above, though not as beautiful. They love playing with it. I love that it folds up and stores away easily when they're done. Sadly, it has also been discontinued. If you are crafty and enjoy working with wood, you could create your own fold-away dollhouse just like Mandi Johnson of Making Nice in the Midwest did as featured on A Beautiful Mess. My aunt gave our girls a dollhouse last Christmas, and we built a storage shelf specifically to hold it, otherwise I think this is the type of dollhouse I would love to design for my own kids. When all else fails, books make good gifts for most children. Yes, it can be overwhelming when the number of books in a tiny house gets out of control, and yes, it's important to find good books for kids since people living in small homes often have to be choosy about the titles they keep, but a good book is rarely a bad choice for a child. 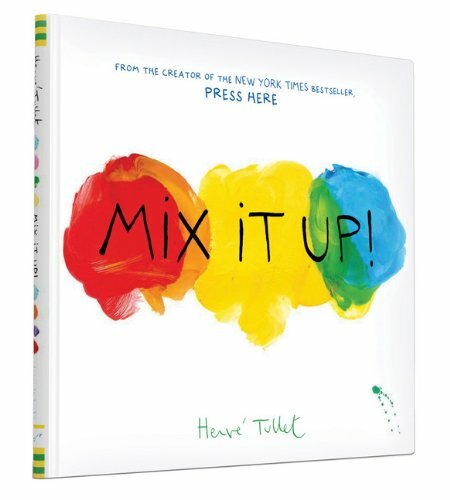 If you are looking for a book for a preschooler or kindergartner that will stand out from the others, we highly recommend Mix It Up! by Herve Tullet. Sunshine received this book for her fifth birthday, and she absolutely loves it. She carried it around for days, making sure that everyone in the family got a chance to experience it. If you haven't seen it for yourself, you should. It may seem a little odd to an adult, but our child loves it, and it has an average 4.8 star rating from more than 400 reviews on Amazon. Tullet has published several other children's books, and I'm eager to check those ones out as well, especially his book Press Here, which sounds like it may be even more fun that Mix It Up! This list wouldn't be complete without a reminder of what this season is really about. We love to bless our girls with presents within our capability to do so, but there are so many people out there who have not been given the same privileges we have in this world. There are numerous ways that you can help the children you love start to see that it is more blessed to give that to receive, from volunteering with your children to donating money or pre-loved toys and other items to people that need them. One of our favorite tangible Christmas charities is the Salvation Army's Angel Tree Program, which gives people the opportunity to buy Christmas gifts for children in need. Letting your child participate in this program by picking out a tag from an Angel Tree and shopping for and purchasing the gifts alongside you is a great way to encourage them to see beyond their own wishlists this holiday season. For more information, visit your local Salvation Army website or look for the trees with angel tags at a store, church, or business near you. We hope you are having a happy holiday season full of peace and goodwill! If you have more gift ideas for the tiny house kids in your life, We'd love to hear about them in the comments below!